The 4 strangest places to visit in Phoenix | Metro Lock & Safe Inc.
Making the most of the strangest sights in Phoenix. Desert environments have historically been a draw for outsiders. The wild west was a place you ventured to when lawlessness and adventure were on the table. Some of the earliest professions in demand were those of locksmiths. Phoenix was a major part of that historical legacy. This carries on even today. You can still see some incredible relics from the past built by pioneers. Some of the oddest sites aren’t from the past though. If you know where to look, you can find some unusual places to visit, and maybe even take something with you! Taxidermy has been a way to preserve history for centuries. 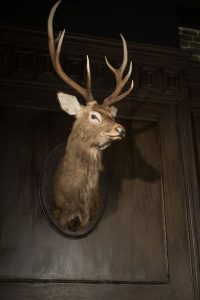 Though it used to be a common sight only in museums and private collections, you can now visit some fantastic stores and purchase taxidermy for yourself. From the unique (like a preserved squid in a jar) to the more conventional mounting of deer heads, you’ll find it all at Curious Nature. This makes it an excellent entry point into the fascinating historical and current world of the art of taxidermy. You never know what you’re going to find. Lucky visitors may even be able to purchase the head of the legendary Jackalope. Not every building ends up being what it was intended. This has never been true as it has been for Tovrea Castle. The castle was originally built in 1930 and took fourteen months to build. It was originally conceived as a hotel. This business venture never took off the ground, and the building was sold to the Tovreas in 1931 along with the surrounding 44 acres of property. The family owned the estate until 1993 when the city of Phoenix bought it and placed its care under the parks department. Tours take you through the grounds and accompanying cactus gardens. Relocated to the Pioneer Living History Museum, this building was home to a feud even bloodier than the famous Hatfield’s and McCoy’s. The Tweksbury-Graham Feud was the bloodiest family feud in all of U.S. history. The cabin features gun slits for covered shooting and the battle between the families lasted 6 years. By the end of it only one male family member from a single family remained. Throughout the battle there had been hired assassins, booby-trapping, hired gangs, ranch burnings, and more. This is the place to go if you want to tell your friends an amazing story about a family they may not have even heard of! You thought there would only be one castle on this list? The Mystery Castle comes with its own fascinating history. It took Boyce Luther Gulley 15 years to build and is made from concrete, mortar and a wide variety of different materials. Gulley primarily used stone, but you’ll also find adobe, railroad tracks, telephone poles, and other salvaged material. He abandoned his family in Seattle to build it, and they only found out about it upon his death 15 years later. He left the castle to his daughter, and she lived in and gave tours as an adult. You can still visit his castle if you follow Mineral Road off of Baseline Road in the Foothills of South Mountain Park. Now that you know where to go in Phoenix, it’s time to prepare. Start with a hearty breakfast, visit a more traditional museum with the family, and then find yourself some true adventure at one of Phoenix Arizona’s oddest attractions. 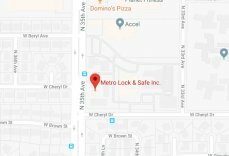 Directions from Metro Lock and Safe Inc.